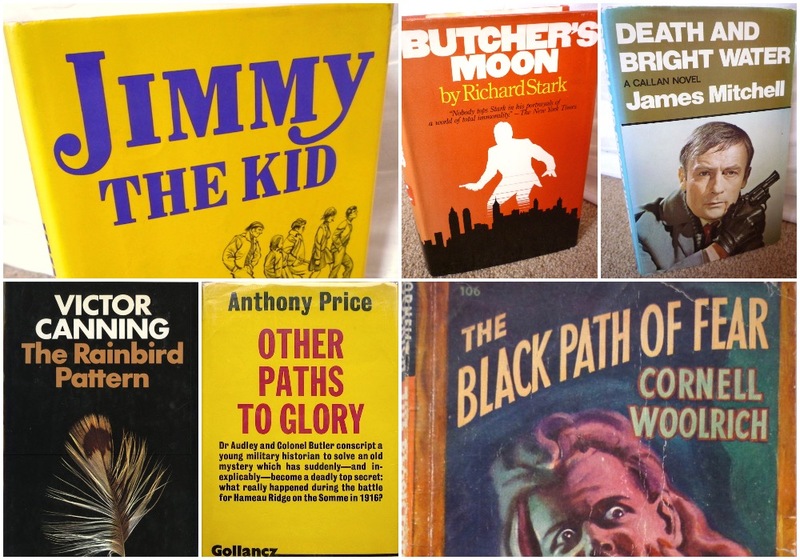 What do Donald E. Westlake, Richard Stark, James Mitchell, Victor Canning, Anthony Price, Cornell Woolrich and Harry Carmichael all have in common? Aside from the fact that they're all blokes... and all crime/thriller writers of one sort or another... and indeed all wrote spy fiction at one time or another... and doubtless there are other commonalities besides, but the one that concerns us here is that presently I have eBay auctions running for books by all six of them (Westlake and Stark of course being the same person). A 1974 American first edition of Donald E. Westlake's Jimmy the Kid, the Dortmunder novel that features excerpts from the 'missing' Parker novel Child Heist. 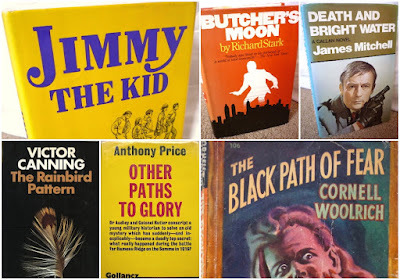 A 1974 American first edition of Richard Stark's Butcher's Moon, the sixteenth Parker novel and the explosive finale to the original run of Parkers. 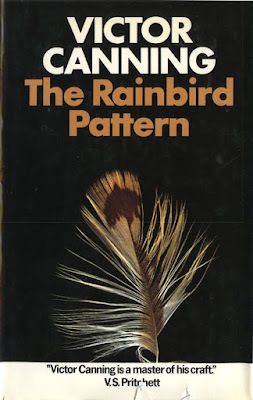 A 1977 American first edition of Donald E. Westlake's Nobody's Perfect, the fourth Dortmunder novel. A 1971 British first edition of Donald E. Westlake's Adios Scheherazade, his fictionalised account of his time as a sleaze paperback writer. A 1966 British first edition of Donald E. Westlake's The Fugitive Pigeon, his first 'nephew' caper, featuring a fab Denis McLoughlin dust jacket. 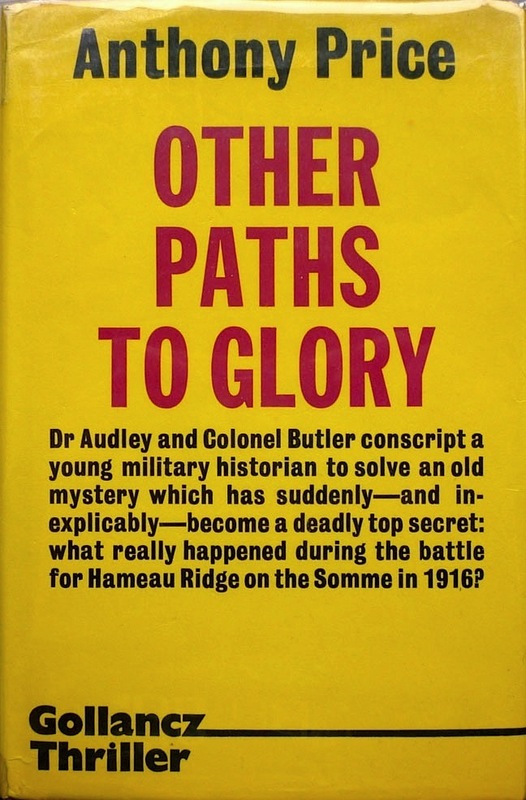 A 1974 British first edition of James Mitchell's Death and Bright Water, the third Callan spy novel. 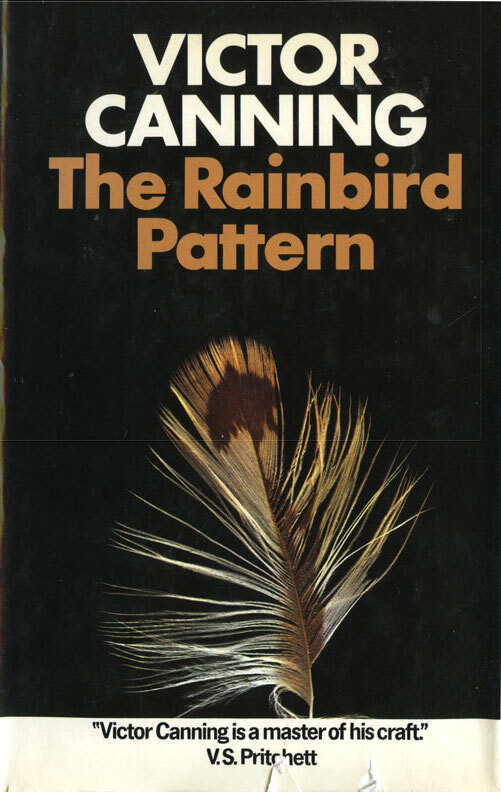 A 1972 British first edition of Victor Canning's The Rainbird Pattern, second novel in the 'Birdcage' spy series and believed by many to be the author's best book. 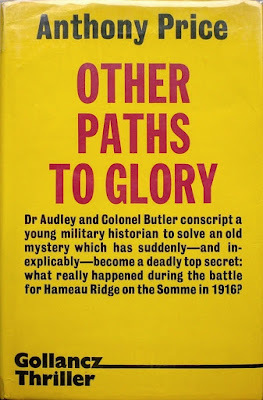 A 1974 British first edition of Anthony Price's Other Paths to Glory, the fifth novel in his David Audley spy series. 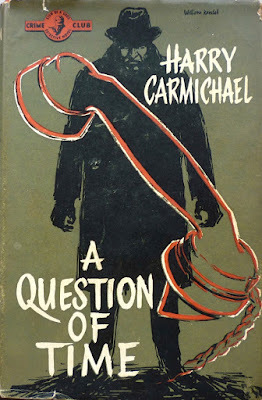 A 1958 British first edition of Harry Carmichael's A Question of Time, with a great William Randell dust jacket. And a 1946 first American paperback edition of Cornell Woolrich's classic noir thriller The Black Path of Fear.